Complete kit for 20 in line drippers. 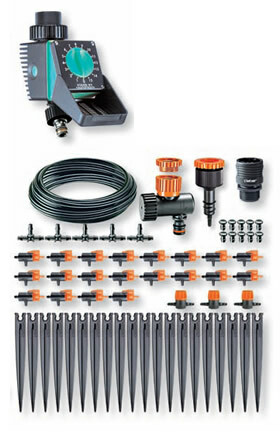 Extensible as required by the addition of other components in the "Rainjet" series. Containers "Balcony" water timer.